Long Beach, a city in southern Los Angeles County just 20 miles south of L.A. proper, has a population of about 470,000, making it among the top 40 largest cities in the nation (bigger than Kansas City, Minneapolis, and many others), and the seventh-largest in California (just behind Fresno and Sacramento). It's also home to a sizable, dynamic gay and lesbian population, and each May the city celebrates lesbian and gay pride. In 2019, the city will once again throw one of the nation's biggest celebrations, this year on May 18 and 19. This two-day event, founded in 1984 by Long Beach Lesbian and Gay Pride, draws some 80,000 participants and 200 floats in its parade. What started as a small parade and picnic more than 30 years ago, has now become one of the largest gay pride celebrations in the nation and one of America's oldest continually running festivals. 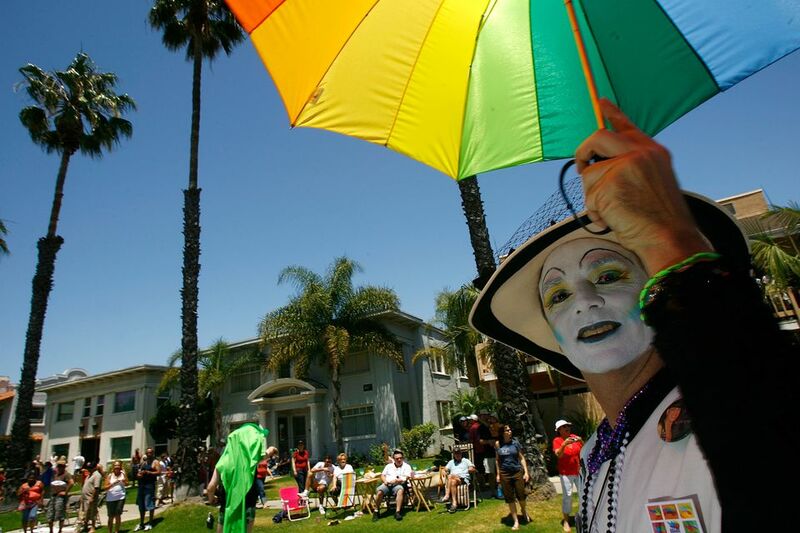 That's why LGBTQ Pride in Long Beach is one of the biggies, and it's a terrific time to acquaint yourself with a gay-friendly city that doesn't get as much attention as it deserves. Every year, the organizers book first-rate entertainment, including past headliners such as DeJ Loaf, Neon Trees, Alexx Mack, the Trans Chorus of LA, Corday, Havana Brown, WASI, Kevin Dekimpe, IDO Politi, Bite Dance Company, and more. Past festivals have taken place all day Saturday and Sunday at Marina Green along East Shoreline Drive, and have featured a slew of talented performers. The Long Beach Pride Parade usually takes place on Sunday morning and proceeds along scenic Ocean Boulevard, from Lindero Avenue to Alamitos Avenue. There's usually ample parking at the Long Beach Convention Center at 400 East Seaside Way. For younger people in the LGBTQ community, Long Beach also hosts the annual Teen Pride celebration. Many gay bars, as well as gay-popular restaurants, hotels, and shops, have special events and parties throughout Pride Weekend. Check local gay papers, such as the magazine GetOutLB, as well as the Long Beach Community Business Network/Gay and Lesbian Chamber of Commerce, for details. Also take a look at the Long Beach CVB site, a handy resource for general travel planning.